Phone, Cane, Cups and More! 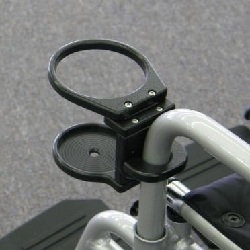 Living Spinal offers a wide variety of wheelchair mounted accessories, from phone to cup holders and everything in between. So no more fumbling around trying to figure out where to place your drink, or how to access your phone quickly with our mounted accessories holders!